Salabhasana (sha-la-BAHS-suh-nuh) stimulates the entire autonomic nervous system, especially the parasympathetic outflow. It increases spinal flexibility and strength, brings rich blood supply to the spine, rejuvenates the spinal nerves, and tones the muscles of the back, shoulders, neck and buttocks. This pose also provides relief for backache, mild sciatica and slipped disc, and other minor back problems. 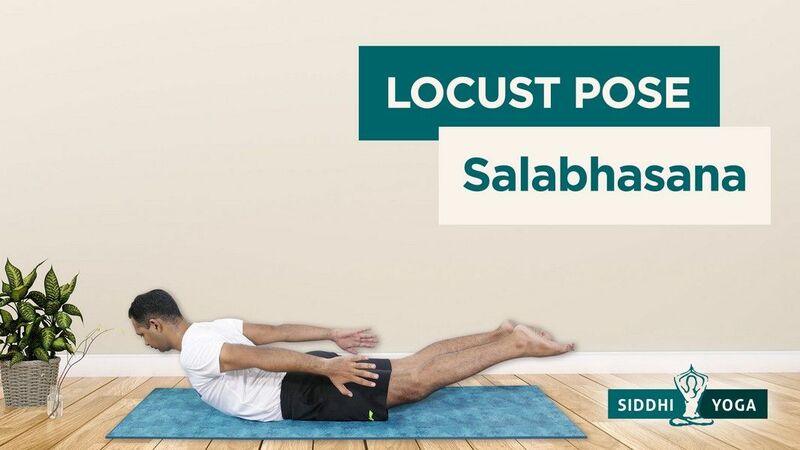 Salabhasana increases abdominal pressure, which in turn ignites the digestive fire, relieves gastric troubles and constipation, and tones and balances the function of the liver. According to Gheranda Samhita, it gives strength and heat to the body. All back extensions bring awareness to the frontal body. Lifting the frontal body, especially the chest cavity, helps build confidence and mental strength. We tend to loose patience and dedication in our practice; back extensions help in bringing vigor back into the practice of yoga.